After leaving Sweden, August Swansons first settled in Minnesota, where he started Swanson's Land of Flowers in 1888. 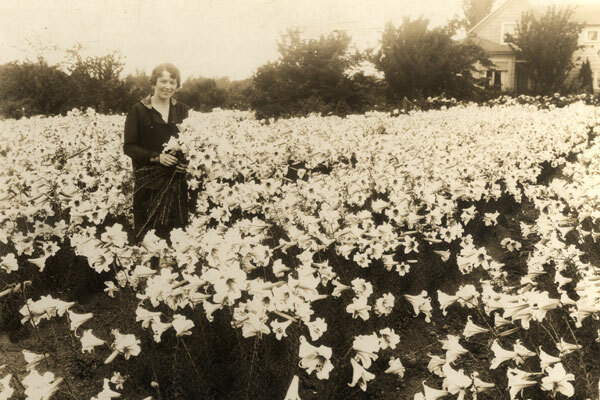 In Minnesota, August met Selma, who had her own flower business. They married and soon began to raise more than just flowers. 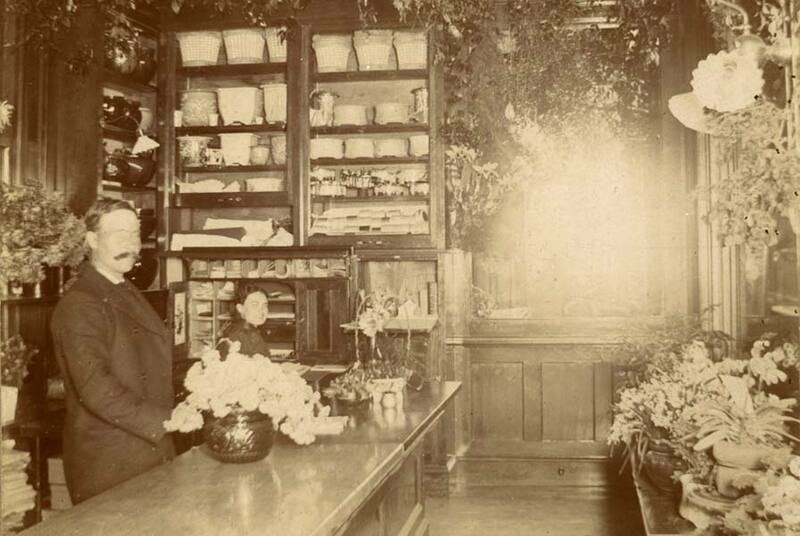 In addition to their greenhouse operation, August and Selma Swanson ran a thriving flower shop in St. Paul. 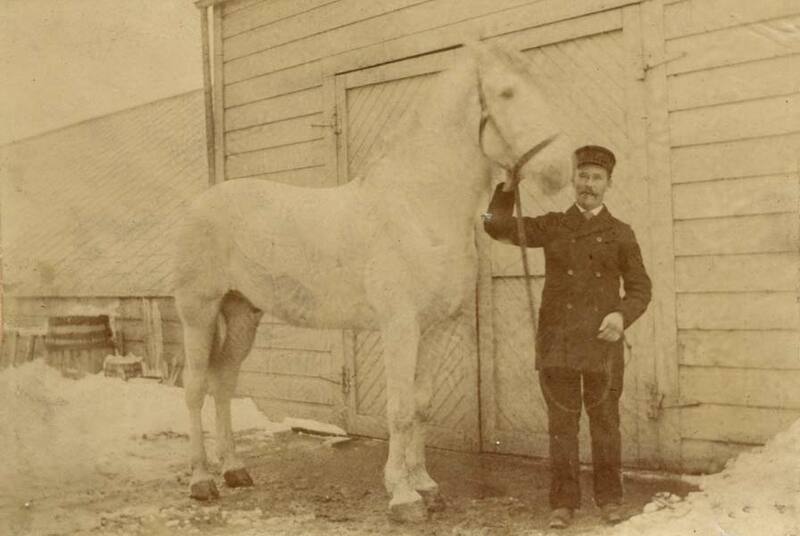 August Swanson hitching up for a flower delivery, despite snowy Minnesota roads. The Swansons moved the operation to Seattle, where they started growing cut flowers. Today Swansons Nursery is still located at the original site on 15th Avenue NW, which was an unpaved rural road in 1924. The Swanson family lived, worked, and grew up on nursery property. Both houses were later used for company offices. 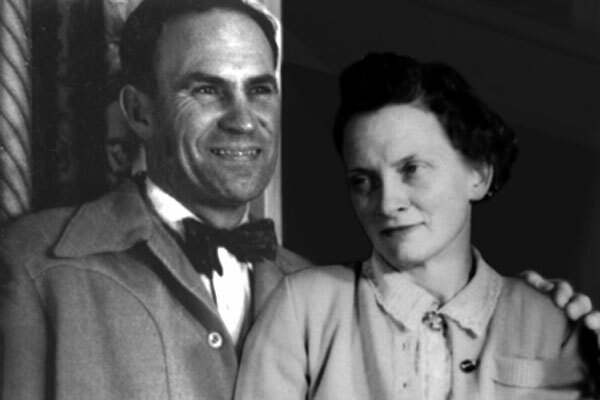 During the 1930s, the running of the business was passed to son Ted Swanson and his wife Frances. August Swanson (with granddaughter Marjie) and Selma Swanson (with a neighbor) always added a dignified presence and helped out until late in life. The Swansons gradually added a retail nursery to their flower growing business. By the 1950s, Swanson's growing operation had increased enough to hire a few neighbors and friends. Jon was one of several exchange student from Denmark to apprentice at Swansons. Another Danish student named Egon Molbak honed his skills here. In the 1960's the sleepy rural setting gradually transformed into a residential neighborhood and the nursery was updated periodically. Ted and Frances visit in the greenhouse which played such an important part of their lives. In 1976, Wally Kerwin purchased the nursery from the Swanson family. 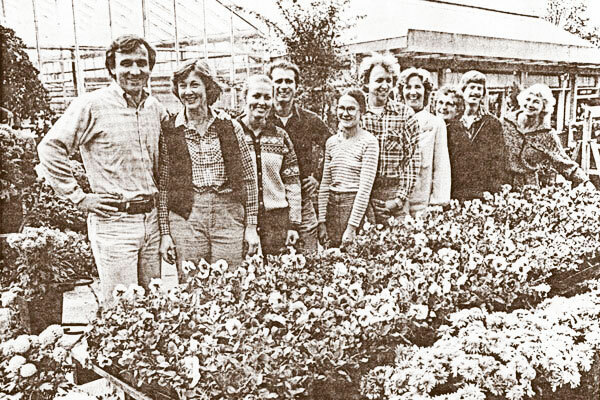 This photo shows Wally, far left, with the 1981 staff. Under Wally’s guidance, former growing areas were gradually converted into retail space. In the 1990s, a very popular cafe and gift shop were added. 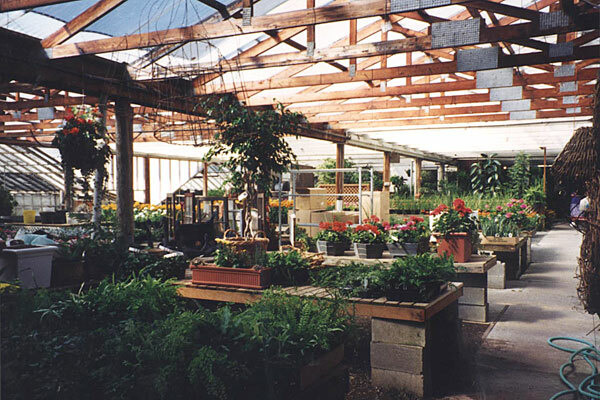 Starting in 2001, construction began on a series of European greenhouses. The Swansons’ legacy continues today as an urban garden center dedicated to growing great gardeners. As we ramp up for an exciting new growing season at Swansons, we’re savoring our history and looking forward excitedly to our future. It’s hard to believe that we have been helping Seattleites beautify their spaces for nearly 96 years, ever since August and Selma Swanson and their three children arrived here in 1924 to make a new start. Seattle, like much of the United States in the early 1920s, was a place of optimism and upheaval.These were the Roaring 20s: jazz, flappers, Prohibition, workers’ unrest and political scrambles, emerging from the trauma of World War I. Downtown Seattle was awash in the Denny Regrade, encompassing optimism and upheaval in one project. In spite of the headlines, however, Seattle was, by most accounts, “a pretty nice place to live,” a relatively quiet (and isolated) burg with wood frame houses and an Olmsted-designed park system. And of course, people needed flowers. The Swansons story started a few decades earlier, when August immigrated from Sweden, paying his passage to America with money from a pamphlet he wrote about horticulture. He first settled in St. Paul, Minnesota, where he started a greenhouse operation called Swanson’s Land of Flowers in 1888. There he met Selma, the owner of a small local flower shop. The two married, combined their businesses and began to raise a family. They planted fields, built a couple of greenhouses and a larger home next to the cottage, and Swanson’s Land of Flowers was back in business by 1924. They grew bulbs for begonias, lilies, irises and dahlias. They planted trees, including two sequoia saplings along 15th Avenue. They hired friends, neighbors, high school kids and interns from Sweden, Denmark and other countries to help out. In 1940, Ted Swanson inherited the business with his wife, Frances, trading homes with his parents in a symbolic ‘old country’ transfer of the business. 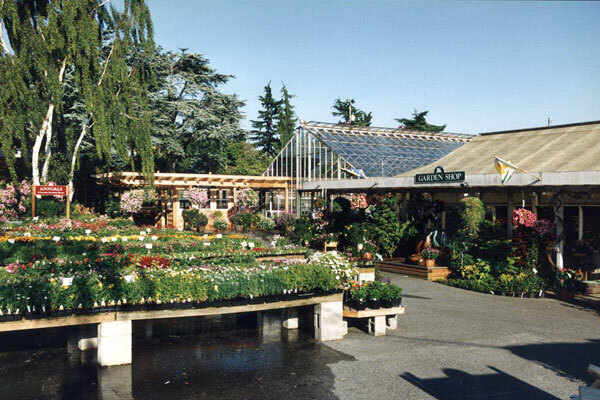 They gradually transformed Swanson’s Land of Flowers into a retail business selling potted and bedding plants, indoor varieties and many types of rare plants. 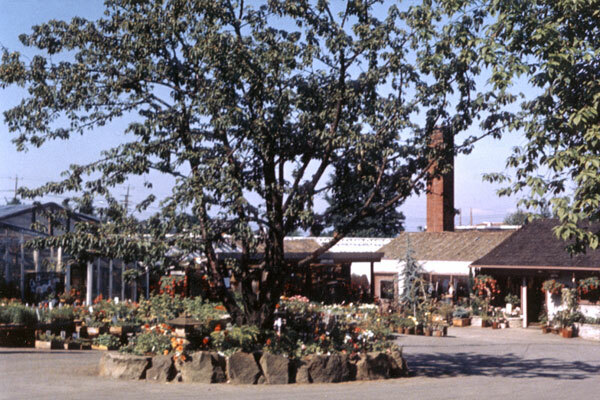 After World War II, Seattle residents were venturing into landscaping and ornamental gardening, and Swanson’s was developing a reputation for carrying varieties of trees, shrubs and other plants one couldn’t find anywhere else. 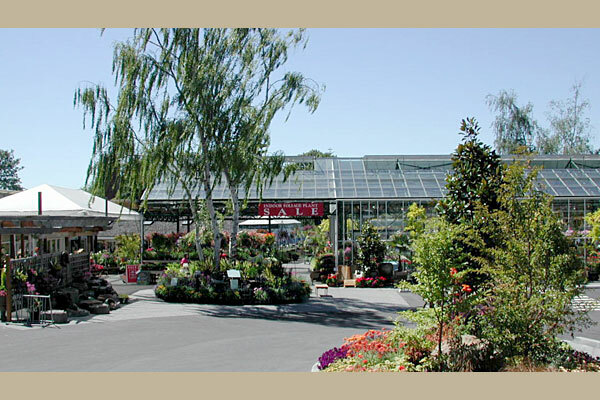 As the city grew up around the nursery, Swanson’s maintained its reputation as a place to enjoy a more “rural” experience, as well as learn about gardening and buy great plants. 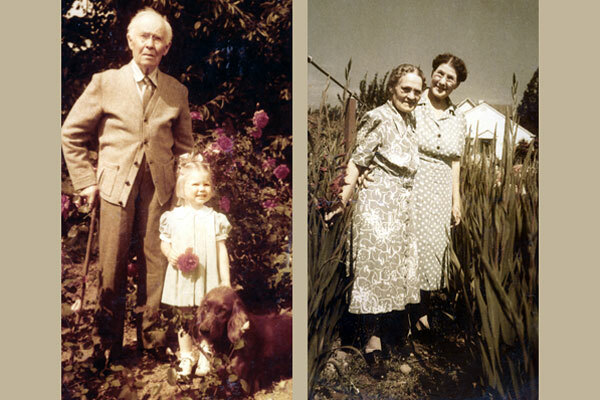 August and Selma still lived in the property’s original cottage and participated well into their later years. In August 2018, we were pleased to announce that Swansons Nursery was purchased by three longtime Swansons’ employees: Brian Damron, our President, Leslie Bruckner, our General Manager, and Gabriel Maki, our Nursery Buyer. Together, they have worked at Swansons for over 42 years and we are incredibly excited that these dedicated individuals will continue guiding Swansons into a bright future. We’ve changed many things over the years, re-grading slopes and ravines and adding a small cafe and gift shop in the 1990’s, and replacing our charming (but falling down) buildings with a series of state-of-the-art European glass greenhouses in the 2000’s to transform Swansons into the all-weather, energy-efficient, modern environment it is today. We’ve added creative displays, fun promotions, social events, and community projects, too. One thing has always stayed the same: our unwavering commitment to our customers and to our community. Our mission is to be a partner to our neighbors - in Ballard and beyond - as they make their environments more beautiful. The heart of Swansons is, and has always been, the people that work, shop, and learn here: the employees, family members, friends, neighbors, and customers (multiple generations, in many cases!) who make Swansons a truly unique and special place. Those two little sequoia trees, planted in the 1920’s, have grown into 150-foot landmarks and there are many more stories to which this article could never do justice. We are proud to have been a part of the history of Seattle, growing as the city grew around us, and we are honored to continue serving our community as we move forward with our new team of employee-owners. We would like to thank you, our customers, for your many years of loyal patronage. Here's to another century (at least!) of growing together.